Setting up and testing your new online store? What is the best way to do it? Setting up and testing your amazing online store? Functionality and reliability of your store coupled with its flexibility on mobile and the Web are key to drive acquisition and retention rates. More and more data is moving to the cloud, and companies, as well as ordinary users, are looking for software that is easily manageable and accessible from any type of device. Such requirements pressure IT product developers to offer software that is easy to work and play with. To achieve just that, legitimate and high-quality product testing is of the essence. It is all too important to test your product before launch comprehensively. If the product breaks or works inefficiently, it naturally breaks any kind of foundation of trust you may have tried to establish between your company and your customer. If users are not happy to use your product, they are unlikely to recommend it to peers. Don’t forget that by having tested your product and achieved great usability, you’ll need fewer customer support agents to resolve customer’s grievances with bugs and glitches. This leads to huge savings on staffing costs and manpower required to support your product. We advise you to consider several options to solve this issue. 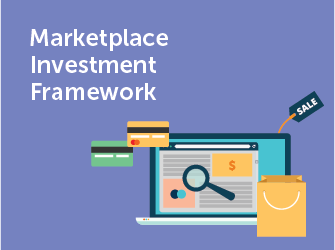 The first one is to employ testing services of a well-established company that provides real-world e-retail testing solutions using a variety of Windows, Android, and iOS devices. This enables your mobile developers to get a hands-on feedback from the best QAs to improve quality and versatility of your product. In your search for versatile options for deployment, you can use Public or Private Cloud as well as On-Premise solutions. Such a variety of options lets you scale your product while using real-world test results. Usage of physical devices allows you to check your product in an authentic environment with unlimited concurrent test runs. Another benefit of properly testing your product is that test runs are done fast. This lets your team can get access to all the data and debug important issues on time. Secondly, before you jump on the above option, you can save time and money by using your own resources in the testing process, at least in the early stages of product development. 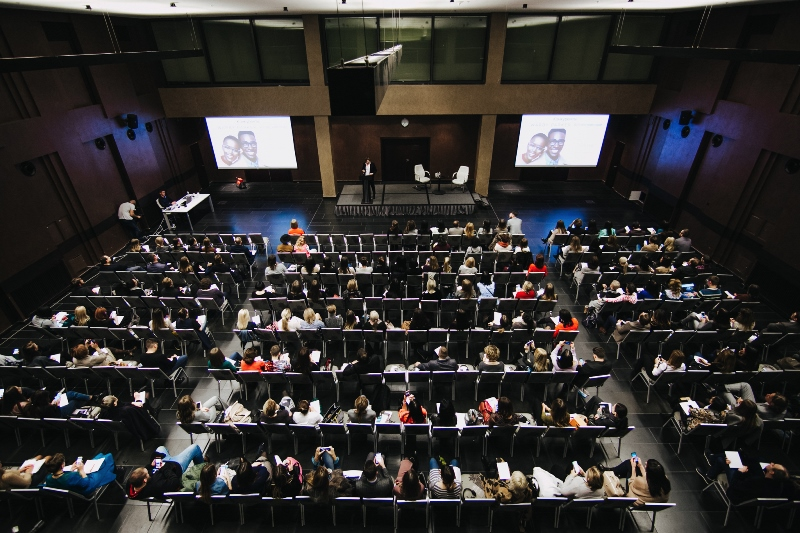 There are several ways you can test your product and ensure that your team is on track to deliver an outstanding product on the release day. Double-check forms. It is very unnerving when at the initial stage of registering and purchasing your product some field in the form is improperly operating. Check everything, all forms, and databases to ensure that every single field accepts input as designed. Ensure proper file management. Some products have age restrictions, identity verifications or alike, and to use them customers may need to upload images or documents. Test as many user scenarios as possible, various file sizes, formats, etc. to accommodate all users’ wishes. Improve search. Most products allow users to search content on the Web/mobile. Search engine set-up to meet your goals requires comprehensive indexing of this information. Speed and relevance of display of results are vital to success. Configure media components. Smooth playback of sounds and animations is a must in interactive media. They can slow down the device’s performance, so make sure to test it on a variety of aged and new devices to offer reliable usability. Ensure scripts’ compatibility. Scripts for displaying graphics, images or Ajax page loads need to be compatible with various browsers, systems, and devices. Measure and optimize their load times. Your product should not only run like a well-oiled machine; it should provide great experiences to users. 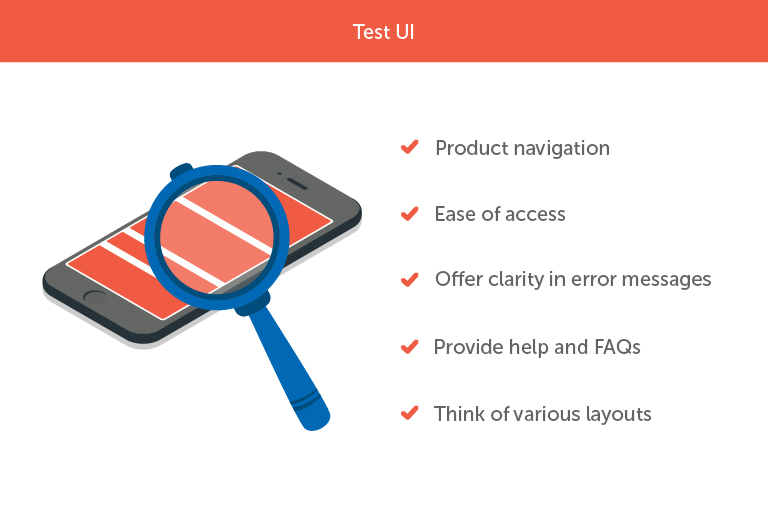 So what are the important components of proper UI testing? Product navigation must be simple starting from your homepage up to the page user is searching for. Ease of access requires you to ensure that people of all ages and even with disabilities can use your product comfortably. Read Web Content Accessibility Guidelines to make your software universally user-friendly. Clarity in error messages as your product may break down at any time. Encountering a 404 page is not good enough these days, try to explain what went wrong to users concisely. Provide help and FAQs as not all users are technologically proficient in using your product comfortably. 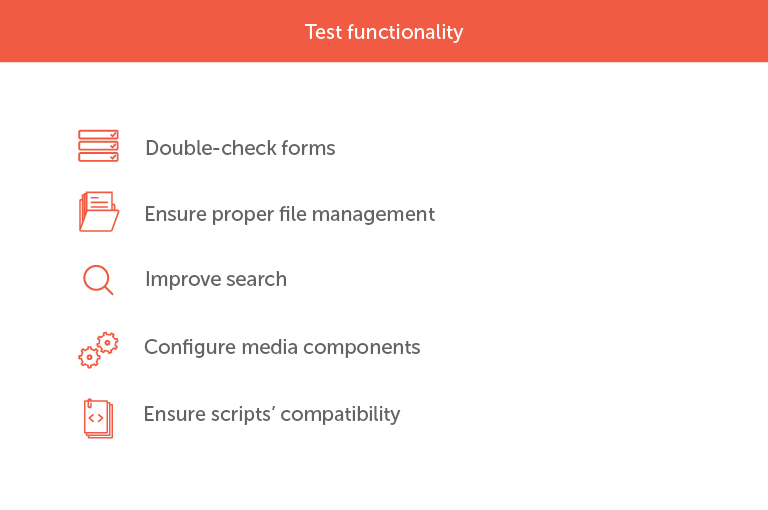 Run checks to ensure that users can get help on any page. Offer a variety of documentation and other support channels to provide customer support. Think of various layouts as you may focus on testing your app on one type of screen and other kinds of displays may not correctly and consistently display your product on Web and mobile. Check as many sizes as possible. Your product can be targeted by competitors at any time of day and night and virtually from anywhere. It’s good practice to search for vulnerabilities in your product code and employ special IT specialist to keep security in check. Beware of scripting via cross-site methods, injection of SQL commands, and DDoS attacks that can bring down all of your online operations for hours and days at a time. 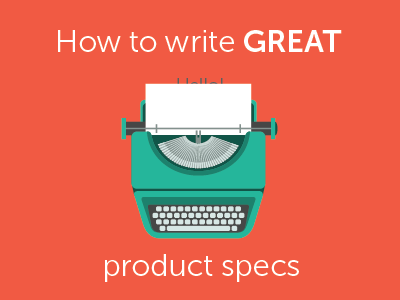 Your primary goal is to make your product popular from the very start. Let’s take Pokémon Go as an example, where users were limited and unable to use the product on their mobile devices due to server overload. You may not have that many customers to start with, but you are still likely to experience spikes in traffic that will only grow over time. Test your product to make sure it can support a maximum reasonable amount of customers that are expected to use it at any given time. Leave some room for scalability, as moving servers within a very short time due to their inability to support traffic load will harm your business operations. Look for quality hosts that provide easy-to-scale solutions in real-time. Finally, there are many other things you need to account for when setting up and testing your web-store to offer your customers the best experience. The abovementioned advice should provide you with a firm grasp of the basic issues you need to look out for to secure your product from crashing and disappointing your users. Look for more tech advice in our future publications!